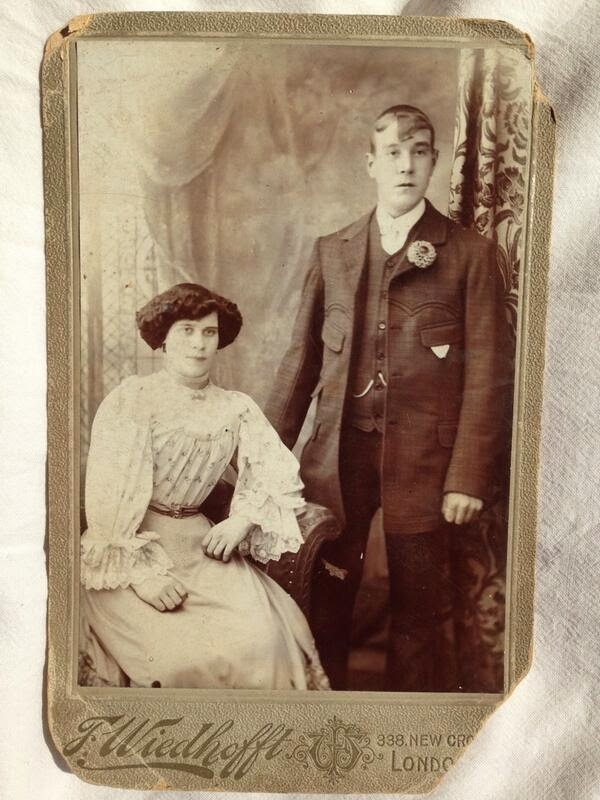 I recently stumbled across a fine photograph Graeme Brooker posted on twitter with the caption '1920. New Cross. George & Nelly Rumble. 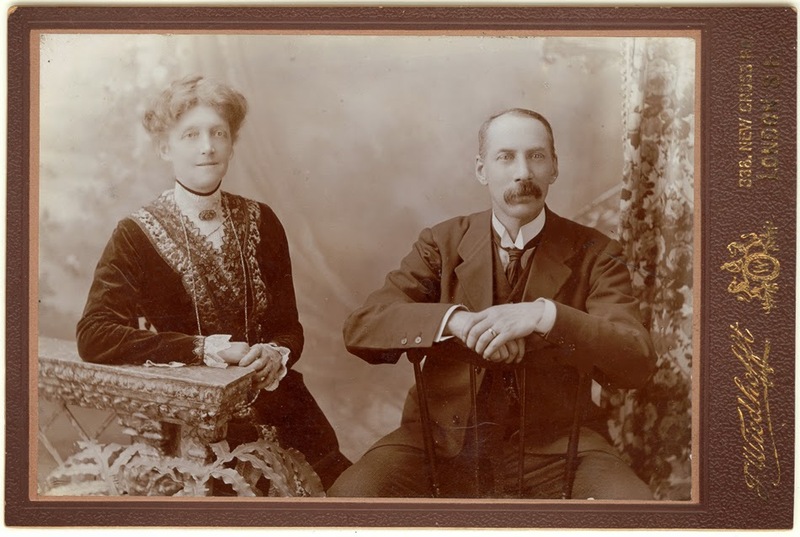 My great-great aunt & uncle'. 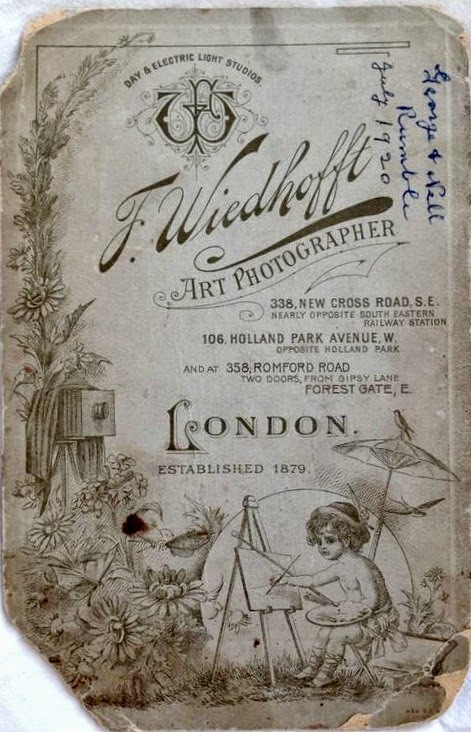 The photo was in a frame bearing the name 'F.Wiedhofft, 338 New Cross Road', and a quick search across family history and photography sites will locate many pictures attributed to this photographer. 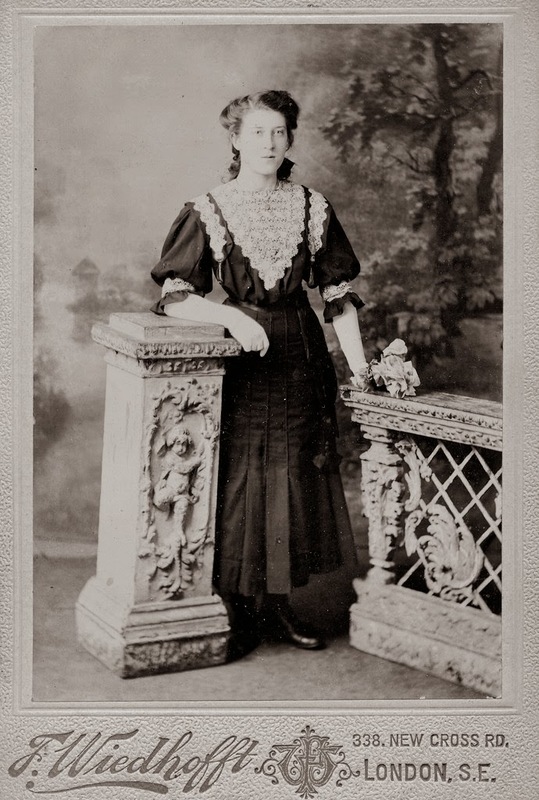 His own life has been documented at a Wiedhofft family history site, so we know that Frederick Wiedhofft, the grandchild of German migrants, was born in Clerkenwell in 1854. He started off as an 'oil and colourman' in the 1870s, moving his business over the next 20 years from Grays Inn Road to Notting Hill and then Balls Pond Road in Dalston. 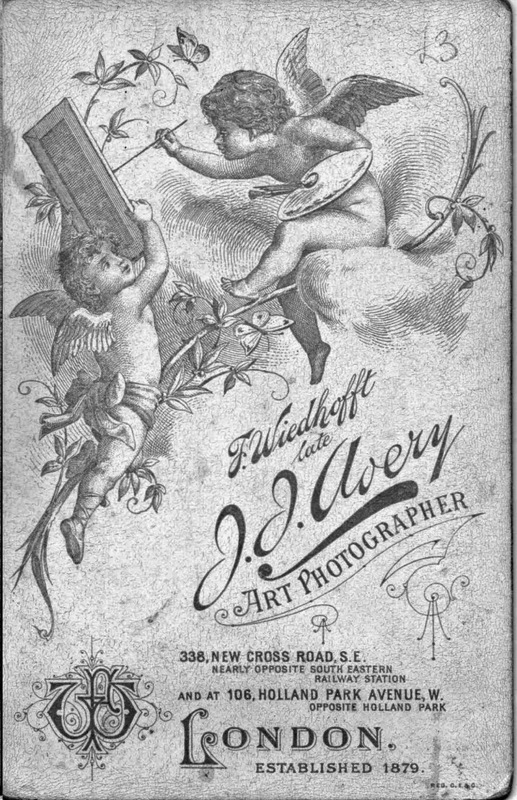 An oil and colourman would have sold paints, lamp oil, etc.from their shop. 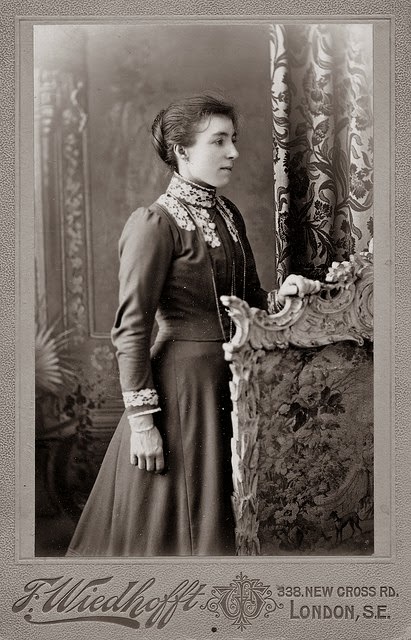 It wasn't until 1897 that he moved into photography, opening up a studio at 338 New Cross Road - where he was listed as living when he got married in 1899. Near to New Cross station, this has most recently been an Indian restaurant (Monsoon). On the 29th July 1910 Frederick died of pneumonia at his then home at 358 Romford Rd. Forest Gate, but the business seems to have continued a while longer. In the 1914 Post Office directory the New Cross Road shop has been joined by two other branches in Holland Park and Junction Road in Islington. Photo London states that he was succeeded at the New Cross studio by Percy John Blackbeard. 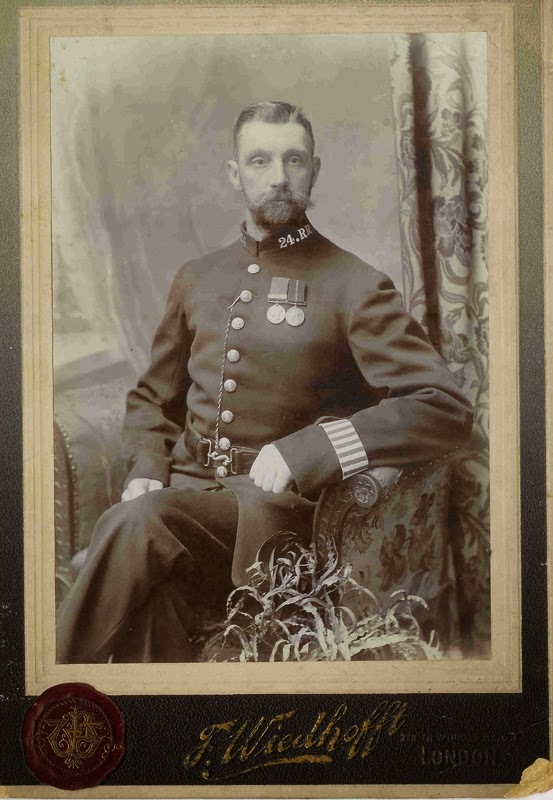 "John James Pay, on his retirement from the Metropolitan Police June 12th 1910 after 25 years service"